2006 La Maserati Company Profile Brochure. 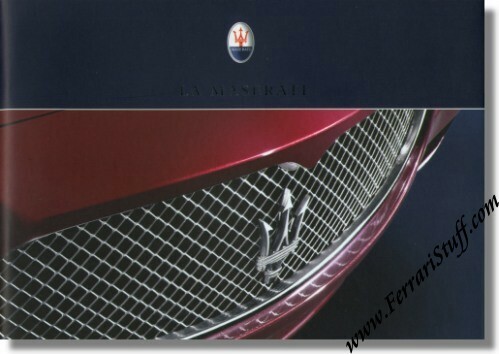 Similar to the "La Ferrari" brochure, the "La Maserati" brochure is issued at the beginning of each year to elaborate on the cars, the company and its place in the world. This 2006 version contains 48 inner pages with countless color photographs and cover the an array of subjects. It measures approximately 8.5 x 6 inches or 21 x 15 cm. Maserati print number 920001246, issued in 2006. Official Maserati factory issue and factory-fresh of course.